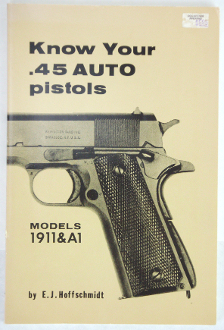 This book serves as a reference and identification guide for .45 Autos Models 1911 & A1. Book shows some wear with some curling of the cover and some dents & handling marks. Nice soft cover book for the collector. Black & white illustrations. Measures 6” x 9” soft cover.